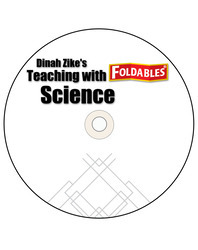 FoldablesTM - student-made, three-dimensional graphic organizers developed by Dinah Zike - are a unique strategy to help students read effectively. They also can be used as assessment or study tools. Students of any ability can create Foldables and as they work with these manipulatives, they are fully involved in learning, studying, and reviewing important concepts.